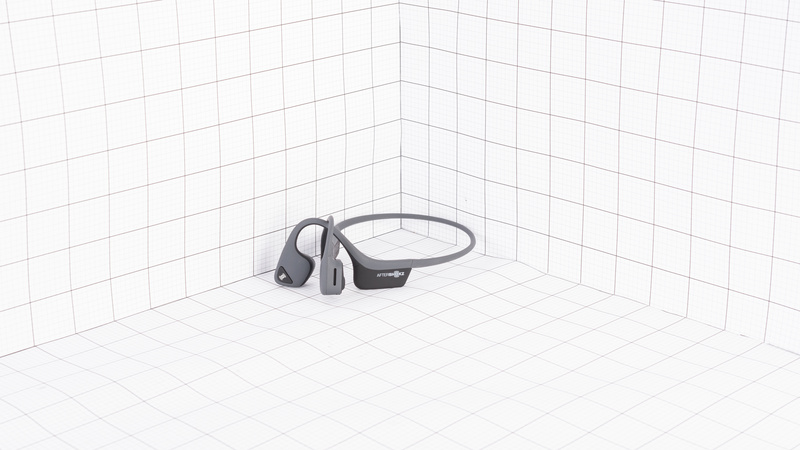 The AfterShokz Trekz Air are unique headphones designed for outdoors sports like running, cycling and for people who want to hear everything around them. 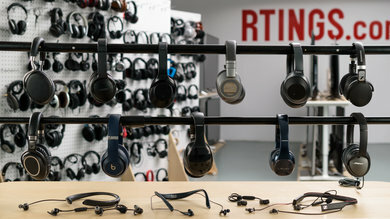 They are not your typical headphones that send music inside your ears, but they use bone conduction to send vibrations to the cheekbone, so you feel the bass instead of hearing it, which is why they don’t measure as well as they actually sound. 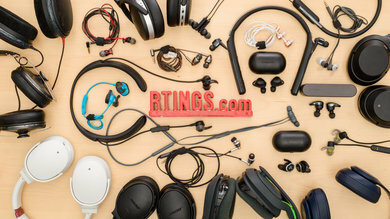 These are very niche headphones for outside athletes who want to be able to monitor their surroundings, but still have background music while being physically active. They are mediocre for any other usage. Open design good for outdoor sports. Bass and treble delivery varies significantly across users. Sensitive to positioning. 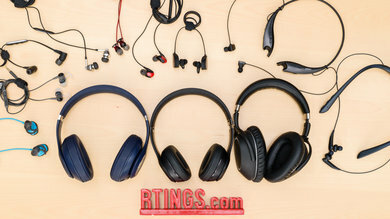 The Trekz Air are sports-oriented headphones that have over-ear hooks with a band that goes on the back of the head, which is different than a neckband like on the Bose QuietControl 30. 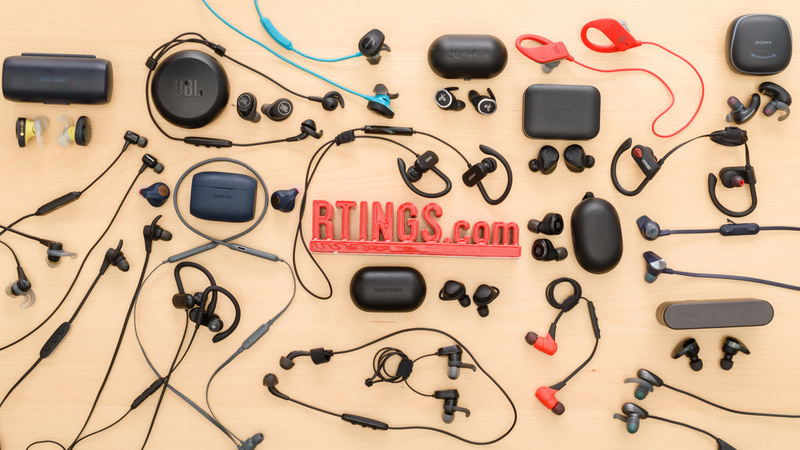 Their design is more similar to the Plantronics BackBeat Fit, but with a more rigid band. 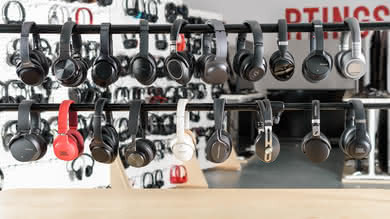 However, they do not sit inside your ears like the BackBeat Fit since they use bone conduction. They are comfortable and stable enough for most sports and don’t make you sweat more since they do not cover your ears at all. 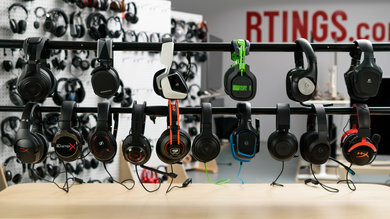 Their build quality is good, and they are covered by a rubberized coating. Their control scheme is easy to use even with the small buttons, but it would have been nice to have them all on the same side. They have an unconventional style since they sit on your cheekbone, next to your wide-open ears. They have a rigid headband that goes behind the head but isn’t quite a neckband. 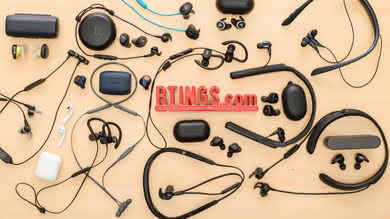 The Trekz Air have over-ear hooks for stability during physical activity, and their overall look is quite low-profile. The AfterShokz Trekz Air are very lightweight headphones that have a comfortable build. 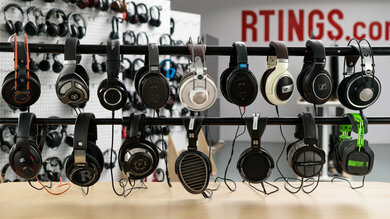 Since they are not like your typical headphones that sit inside, on or around your ears, you don’t feel them too much. 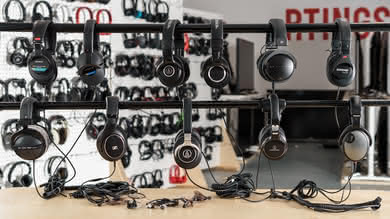 However, you feel bass through vibration, so bass-heavy genres like dubstep might get a bit annoying after long listening sessions, but this shouldn’t be too much of a problem for other music genres or podcasts. Also, depending on the thickness of your glasses, it might be harder to find a comfortable fit with two bands going over your ears. The control scheme of the Trekz Air is good, but it has its flaws. The feedback of the buttons is good, but the ease-of-use is average-at-best. The buttons are small and near each other. 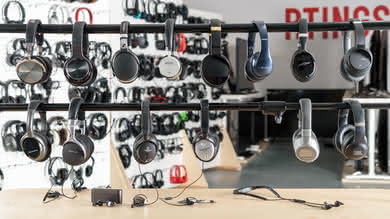 You get a volume rocker, a power button that is also for pairing and turning the volume up, and a multi-function button for play/pause, take/end calls, and to skip to the next song, but they don't have a multi-press action for going to the previous track, which is disappointing. 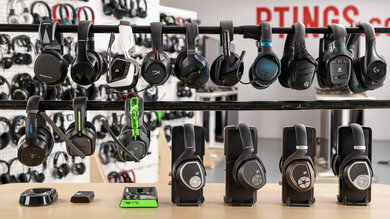 Also, the volume rocker is behind your right ear, while the multi-purpose button is on the left earbud, making the control scheme awkward to use. Each action is confirmed by a beeping tone. On the upside, you have EQ presets that you can switch between by holding both volume buttons, but there is no way of knowing on which preset you are other than sound difference. 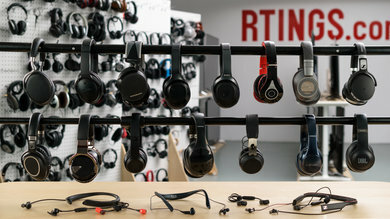 These headphones do not sit inside, on or around your ears, so there is no heat trapped. This makes them a good choice for sports since you should not sweat more while using them. 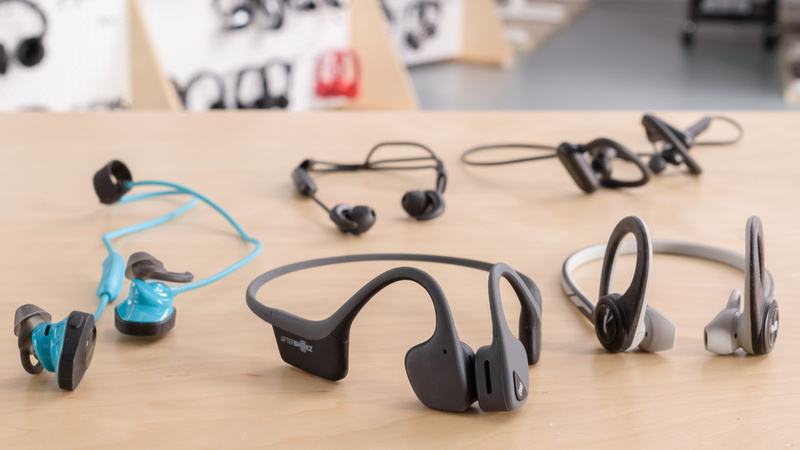 The AfterShokz Trekz Air aren’t bulky, but they are not as portable as the similarly designed BackBeat Fit. The headband of the Trekz Air is more rigid and doesn’t allow them to fold into a more compact format. They are portable enough to fit into larger sports pants or shorts but aren’t foldable enough for your jeans. On the upside, they come with a small soft case to protect them and to help with traveling, but it does add a bit of bulk. 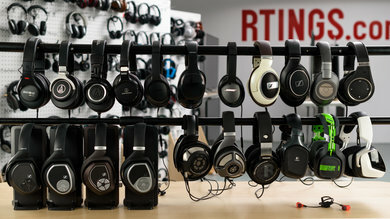 They come with a small soft case that should protect the headphones against scratches and very light water exposure. 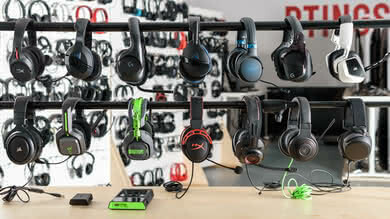 However, it will not protect the headphones as well as harder cases. The Trekz Air have good build quality, and they don’t feel like they would get too damaged after a few accidental drops. 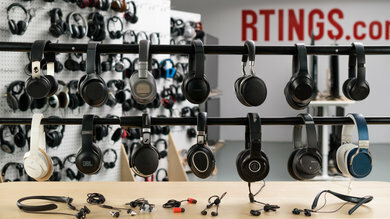 The headphones are mainly covered by a rubberized coating but are not waterproof. 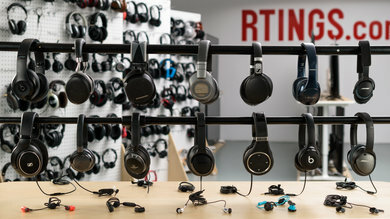 The earbuds are dense and should survive impacts. 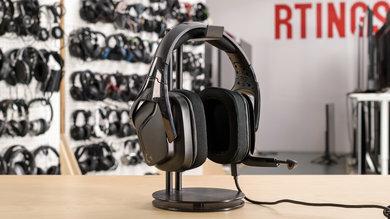 On the other hand, the headband that goes behind your head is thinner than the rest of the build but is quite flexible. 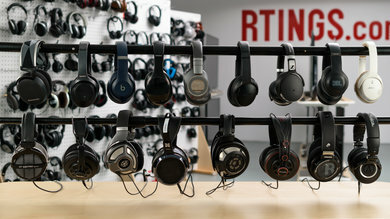 Thanks to their over-ear hook design, they are stable enough for most sports and should not fall to the ground. 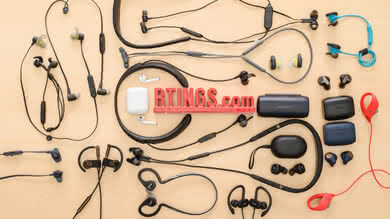 However, the ear pieces move around toward your ears, especially when running. 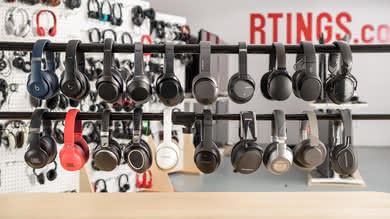 You might need to re-adjust the fit of the headphones on your head a few times when working out. They come with a USB to micro-USB charging cable. The Aftershokz Trekz Air are a poor sounding pair of bone conduction headphones. The bass is almost entirely tactile with an average amount of punch that is felt through the cheekbones. However, it lacks sub-bass thump and rumble. 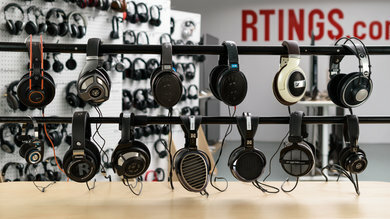 They also have an uneven and overpowering mid-range which makes vocals and lead instruments sound muddy and cluttered. Their treble is also uneven and quite bright sounding. Overall, their sound is not heavy in bass and is rather mid-rangy. Also, their soundstage is open but doesn't feel very large, natural or speaker-like. 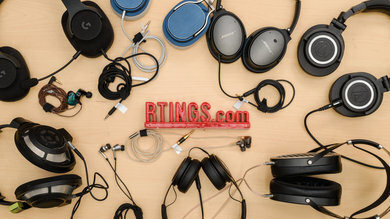 This makes them suitable for listening to podcasts, audiobooks, or music that is not very bass-heavy, but they won't be ideal for fans of extended and heavy bass or vocal-centric music. 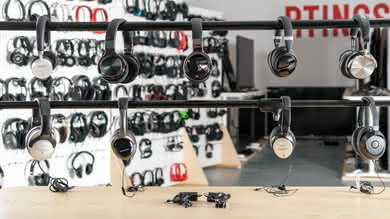 Note: We measured the bass of these headphones using regular microphones, since at the moment we don't have a method for measuring the tactile bass created by bone conduction headphones. 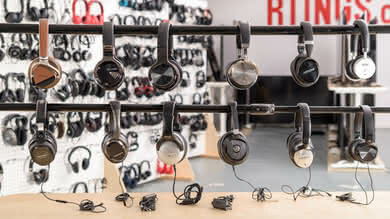 The overall sound of these headphones may be better than shown here but will still not be ideal for listening to music. Also, using them with the provided earplugs tends to muffle the treble and intensify the bass. The bass of the Trekz Air is lacking. 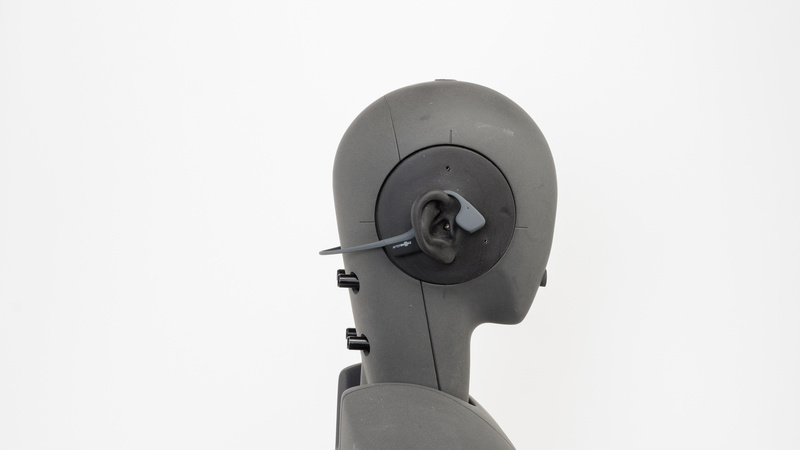 These bone conduction headphones don't produce much bass by creating sound pressure, which is why they have such a low score in our measurements. However, they do transmit an average amount of tactile bass through the cheekbones, but even their tactile bass isn't very extended. So overall they do produce an average amount of punch on the kick drums, but won't produce any thump or rumble in the sub-bass range. We have plans for measuring the tactile bass of headphones/speakers in the future in order to assess the bass of bone conduction headphones better. 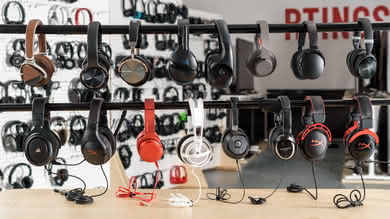 Also, their bass delivery varies significantly across users, and is sensitive to the quality of fit. The response here represents the average bass response and your experience may vary. The mid-range is poor. 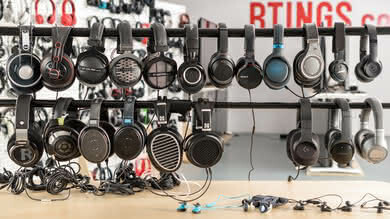 The overall response of these headphones in the mid-range is rather uneven, overpowering, and with a 10dB tilt favoring lower frequencies. This somewhat compensates for the lack of bass on these headphones but will be at the expense of making the mix, especially vocals and lead instruments, sound muddy and cluttered. The treble of the Trekz Air is sub-par. The overall response throughout the treble range is uneven and overemphasized. This makes the overall sound of these headphones noticeably bright, especially when combined with their lacking bass. Also, their treble delivery varies noticeably across users. The response here represents the average response and your experience may vary. The frequency response consistency is poor. The bass and treble delivery of these headphones was surprisingly inconsistent across our 5 human subjects. We measured more than 15dB of variation in bass and 6dB in the treble range. This seemed to be mostly affected by placement and tightness of the headphones on the cheekbones. 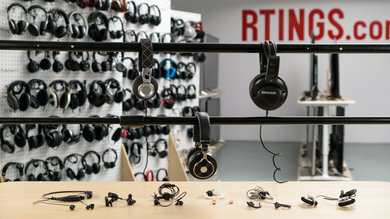 It should be noted that we measured the bass of these headphones using microphones placed in the ears of our humans subjects, since at the moment we don't have a method for measuring the tactile bass created by bone conduction headphones. 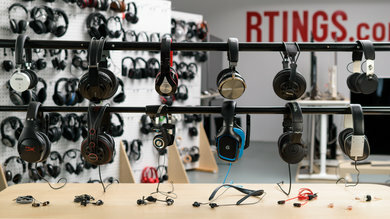 The tactile bass of these headphones may be more consistent across multiple users. The imaging performance is sub-par. The GD graph shows that the high group delay only happens in the bass range, where these headphones don't produce much sound pressure. Most of the bass is tactile and transmitted through the cheekbones. So the actual experience of their bass isn't as bad. 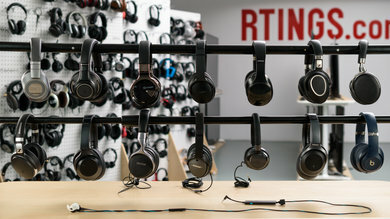 Additionally, the L/R drivers of our test unit were decently matched in amplitude, but showed a big mismatch in phase and frequency response which results in a stereo image that is highly sensitive to positioning of the headphones and could easily get skewed. 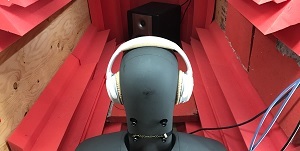 It should be noted that we measured the bass of these headphones using microphones positioned in the ear canal of our dummy head, since at the moment we don't have a method for measuring the tactile bass created by bone conduction headphones. 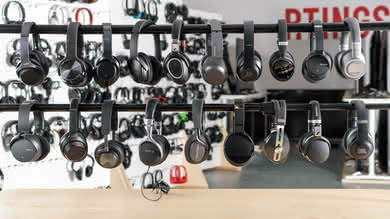 We have plans to develop methods for measuring the tactile bass created by such headphones in the future. The soundstage is mediocre. Due to the fact that the drivers are positioned on the cheekbones, they get very high scores for openness and acoustic space excitation. However, they didn't perform very good in the PRTF tests, probably due to them interacting mostly with the cheekbones. They show very little pinna interaction/activation, but a decent 10KHz notch. Overall the soundstage is open, but doesn't feel very large, natural or speaker-like. 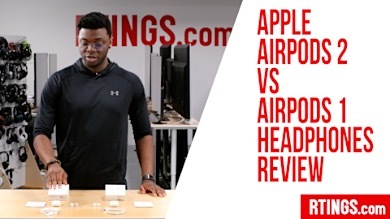 The harmonic distortion performance of the Aftershokz Trekz Air is poor. 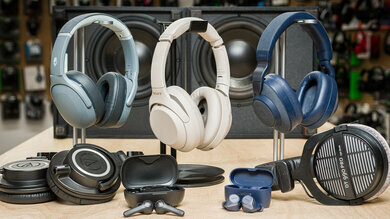 These headphones produced one of the highest amounts of THD we have measured so far. 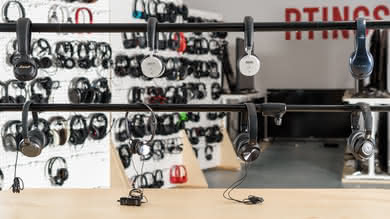 Although they don't sound clean at all, the extremely high distortion readings could be due to our testing procedure not being compatible with bone conduction transducers. We will look further into this in future test bench update and will improve our tests if possible. 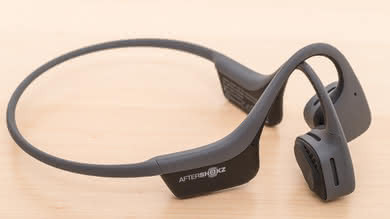 The AfterShokz Trekz Air don’t isolate noise by design since there is nothing that covers your ears. The buds rest on your cheekbones, so the ears are wide open. They do leak quite a lot and are definitively not a good option for daily commuting or office work. 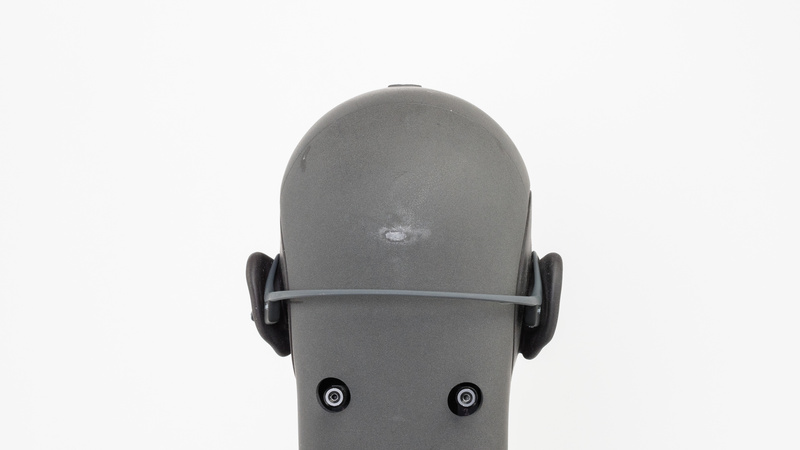 They were designed as sports headphones to be able to monitor your surroundings while still being physically active. 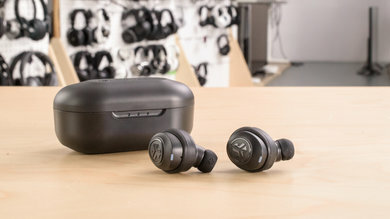 However, they come with foam earplugs in the box, so if you want to cancel out more ambient noise and use the Trekz Air as more regular headphones, you can. Sound quality is slightly affected when using the earplugs. It feels like the bass is louder but the treble more muffled. The isolation performance is poor. 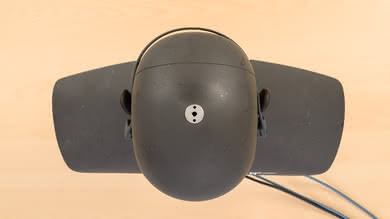 Since these headphones do not cover the ears, it is normal for them to provide no isolation. However, this is by design since and they are supposed to allow you to be fully aware of your surroundings. 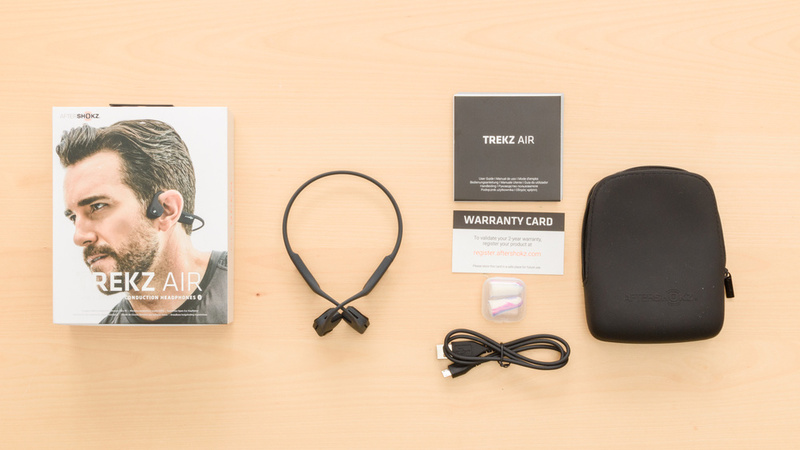 However, they come with foam earplugs in the box, so if you want to cancel out more ambient noise and use the Trekz Air as more regular headphones, you can. Sound quality is slightly affected when using the earplugs. It feels like the bass is louder but the treble more muffled. 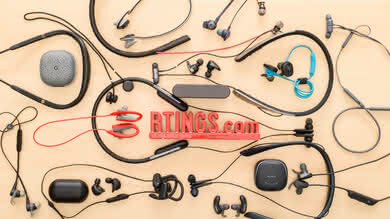 You can also check out the Plantronics Backbeat Fit or the Sony WI-SP500 if you need an open headset for running outdoors. 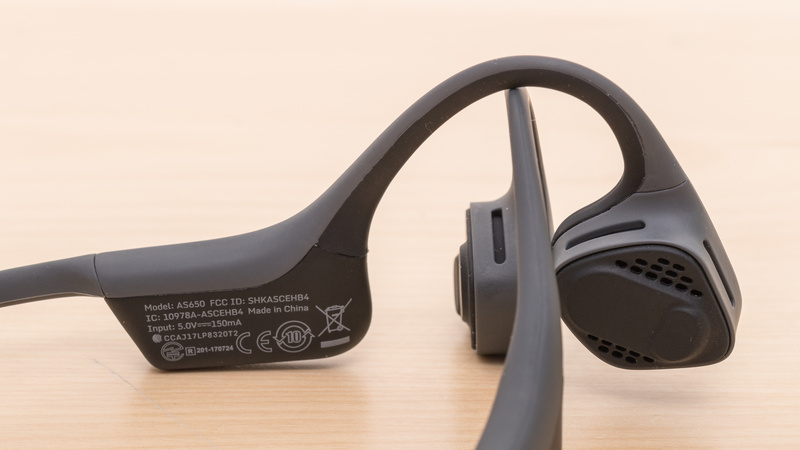 The Trekz Air, despite their bone conduction design, have a poor leakage performance. 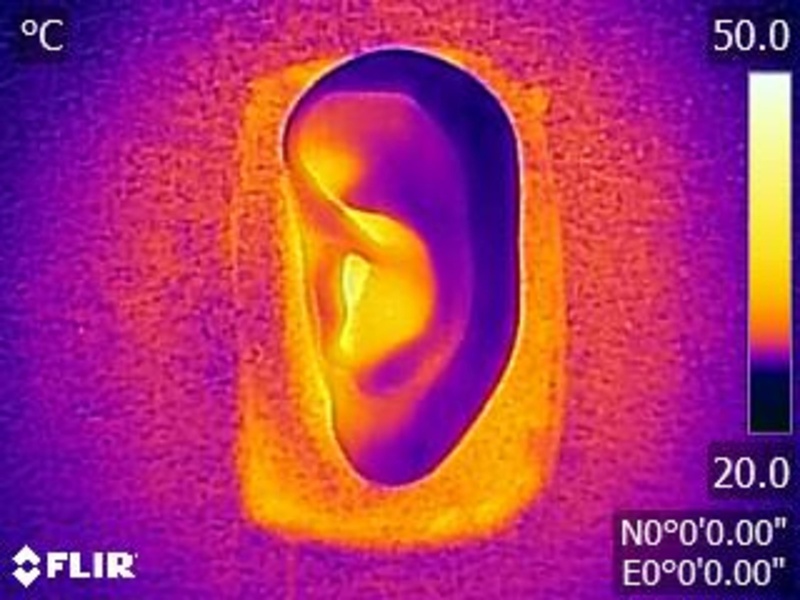 The significant portion of the leakage sits between 700Hz and 20KHz which is a broad range. The overall level of leakage is also loud. With the music at 100dB SPL, the leakage at 1 foot away averages at 58dB SPL and peaks at 79dB SPL, which is significantly louder than the noise floor of an average office. 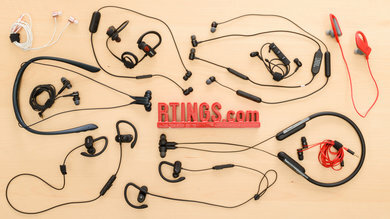 The AfterShokz Trekz Air have a mediocre microphone. 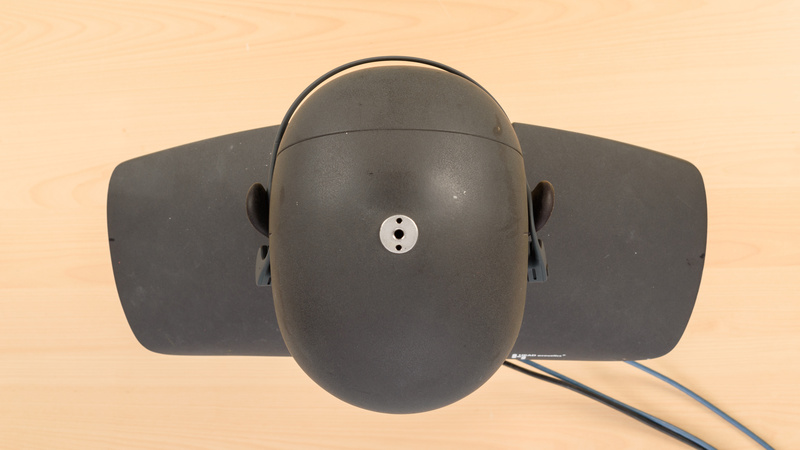 In quiet environments, speech recorded or transmitted with this mic will sound thin, muffled and lacking in detail. 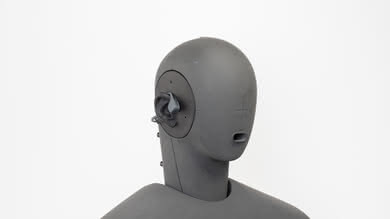 In noisy situations, they are able to separate speech from background noise in moderately loud environments like a busy street, but will struggle in louder places. The AfterShokz Trekz Air have a sub-par recording quality. The LFE of 397Hz results in a recorded/transmitted speech that is relatively thin. The HFE of 3.4KHz suggests a speech that is muffled and lacks detail. Also, the response between the LFE and HFE points is rather uneven which could negatively affect the intelligibility of speech. The noise handling of the Trekz Air's microphone is average. 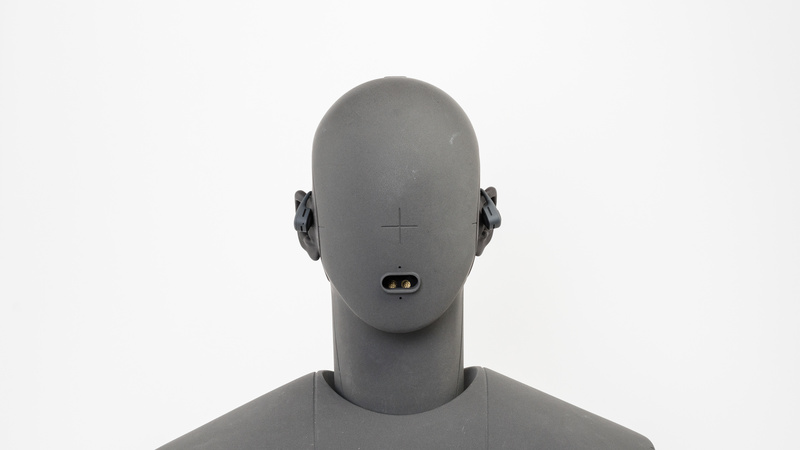 It achieved a speech-to-noise ratio of 18dB in our SpNR test, indicating that it is able to separate speech from ambient noise to a decent degree in moderately loud environments. However, it will struggle to do so in louder situations. The AfterShokz Trekz Air have a decent battery life but do not have any app support. 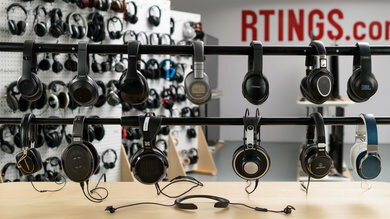 They offer around 7 hours of playback at moderate volumes which might be short for some more intense users but should be fine for people who only train a few hours per day. They also have a standby mode to save battery life. However, they do not have a compatible app to modify the sound profile to your liking. There are still some EQ presets that you can switch with the controls scheme for a bit of customization, but that’s it. There’s also no way to know which EQ preset you are listening to other than to listen to the sound difference. They have a decent battery life that should last you long enough for your daily workouts, but you might have to charge them daily or on every other day. 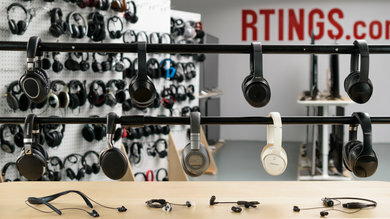 They take about 2 hours to charge fully and you can’t use the headphones while they are charging. They can also go into standby mode and last for about 20 days according to AfterShokz's specs sheet. The AfterShokz Trekz Air do not have a compatible app for customization options. 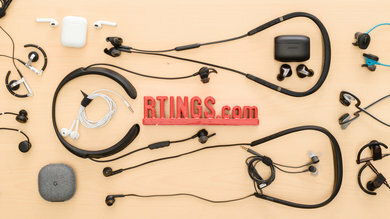 The AfterShokz Trekz Air are wireless Bluetooth-only headphones that do not have any wired connection if the battery dies. You also can’t use them with console controllers. 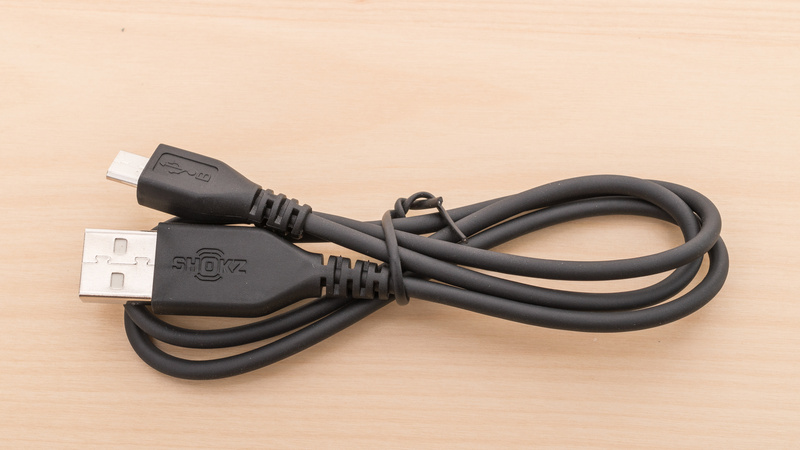 They can connect simultaneously to 2 devices which is useful if you want to switch between your PC and your phone. 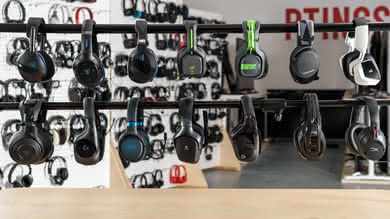 On the upside, they have amazing wireless range, the greatest obstructed range we've measured so far, but like most Bluetooth headphones, they have too much latency for video content and gaming. 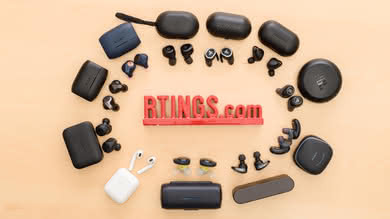 They support Bluetooth version 4.2 and can connect to simultaneously to 2 devices which is useful if you often switch between your PC and your phone. Their pairing procedure is easy, however, enabling multipoint pairing is a little more involved and requires that you; Enter pairing mode, then press and hold the multifunction button and volume+ button for 2-3 seconds until you hear "Multipoint Enabled." Pair first device. 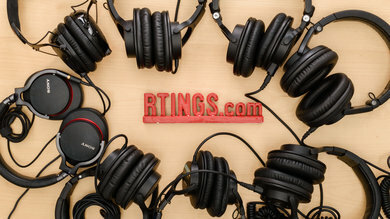 Turn your headphones off and re-enter pairing mode, then pair the second device. They also do not have NFC which could have made this multi-point pairing procedure a lot easier. They do not have a wired connection. The AfterShokz Trekz Air do not have a dock, like most open sports-oriented headphones. The wireless range of the Trekz Air is remarkable. We measured an amazing distance of 72 feet before hearing clear audio cuts when the source was obstructed by walls and a range of 189 feet while in direct line of sight. 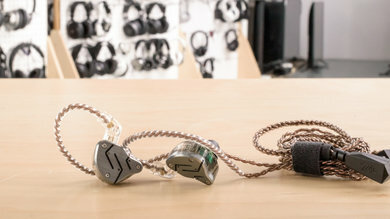 This makes them versatile if you need to move around and leave your audio source in one place. Like most Bluetooth headphones, the Trekz Air have too much latency for video content or gaming. 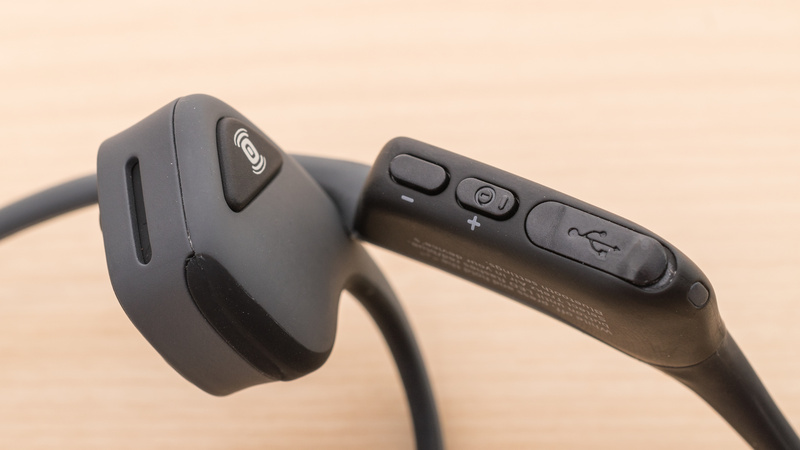 The AfterShokz Trekz Air are decent sports headphones with a unique design that uses bone conduction to make you feel the bass instead of hearing it. Their build is comfortable and stable enough for most sports but might need a few adjustments from time to time. They are designed for outdoor use so you can have background music while running or cycling and still be aware of what is going on around you. 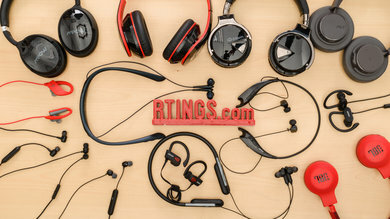 They are a very niche pair of headphones, and when compared to other sports headphones below, the Trekz Air are the only one with bone conduction. 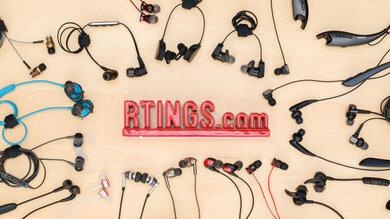 See our recommendations for the best headphones for working out, the best wireless earbuds for running, and the best Bluetooth earbuds. 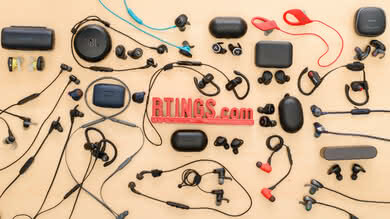 If you compare the Plantronics BackBeat Fit to the AfterShokz Trekz Air, the Fit are better typical headphones, especially sound-wise. 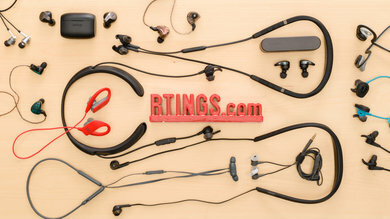 This is due to them being in-ears and not bone-conducting like the Trekz Air. 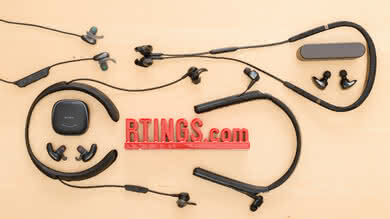 They are more stable than the AfterShokz, more portable thanks to the flexible band, and they isolate more sound. If you’re looking for openness and want to stay aware of your surroundings while training with background music, the Trekz Air might be the better choice. 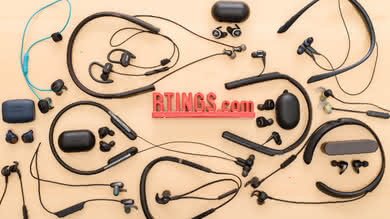 They are also more comfortable and use a more recent version of Bluetooth. 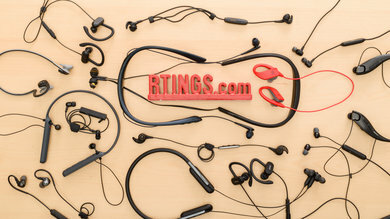 The Bose SoundSport Wireless are better sports headphones than the AfterShokz Trekz Air. 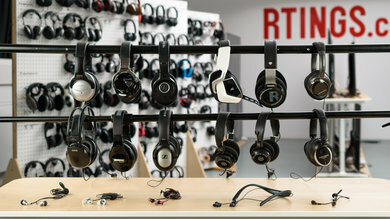 They are more typical headphones with in-ear drivers, and they also have an open design which doesn’t isolate noise. 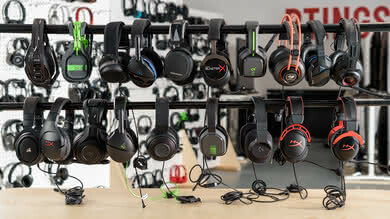 They have a neutral and even sound profile. 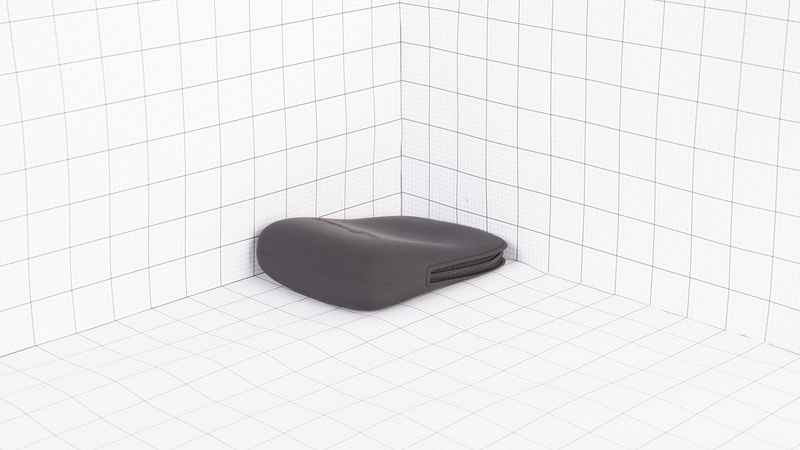 They won’t be as open as the bone-conducting design of the Trekz Air, but you should be able to monitor your surrounding with the Boses as well. On the other hand, the Trekz Air have better build quality, with rubberized coating, and they also have better soundstage and battery life. The Jaybird Freedom 2 are better typical and more versatile headphones than the AfterShokz Trekz Air. 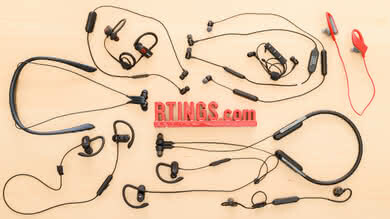 They are more portable and since they are closed-back in-ears, they isolate ambient noise and don’t leak much. However, the Trekz Air are designed for runners and cyclists who want to hear what’s going on around them. 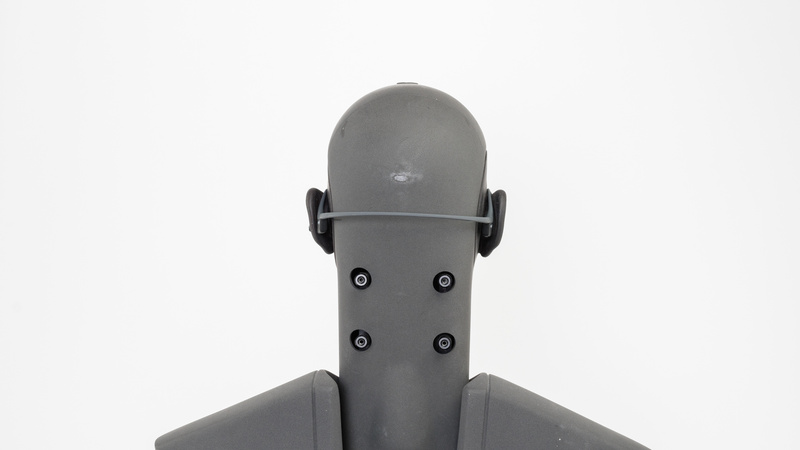 With their bone-conducting design, they have a better soundstage and act more like background music while you train. They also have better battery life than the Jaybird. Poor for mixed-usage. 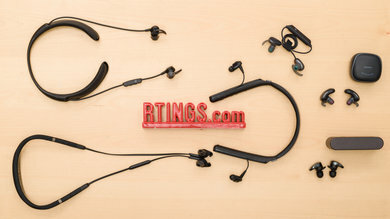 The AfterShokz Trekz Air were designed as sports headphones, and their unique bone conduction technology and openness make them a bad choice for office work and commuting. 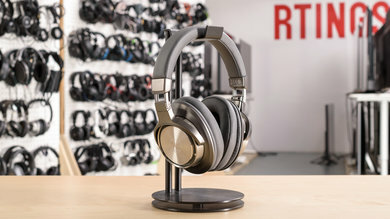 Their sound profile is actually better than what it measures, but they are not meant to be critical listening headphones. They also have too much latency for TV and gaming uses. Bad for critical listening. Without having sound directed into the ear canal and using bone conduction, you don’t hear the bass, you feel it. Our measurements aren’t accurate for now because they were our first bone-conducting pair and didn't measure as typical headphones. 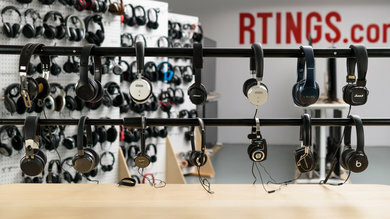 They sound better than what the scores reflect, but overall, their sound quality is not good enough to be considered critical listening headphones. Inadequate for commuting and traveling. By design, they don’t isolate any noise, so you’ll hear everything from engine rumbles to ambient chatter in public transports. 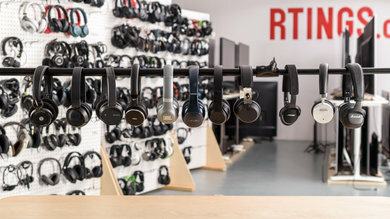 They are also open and leak a lot, which will be annoying for people around you since they can hear what you are listening to. Decent for sports. 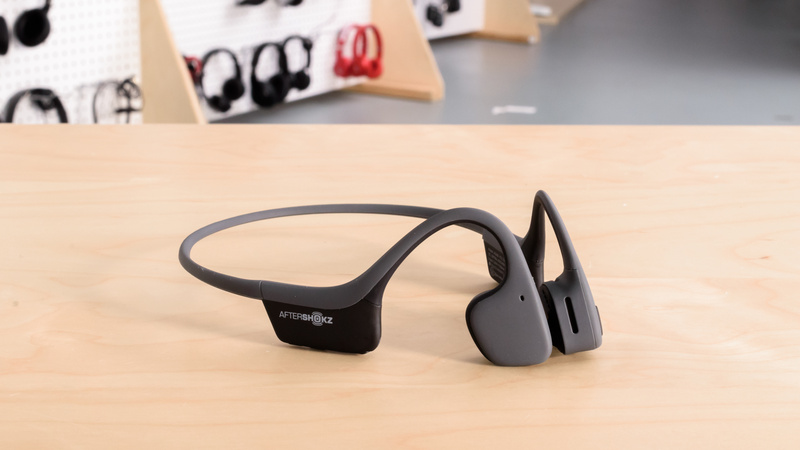 The AfterShokz Trekz Air are very breathable since there’s nothing covering your ears and their design also makes them stable for most activities. They are very lightweight and decently portable. If you’re a runner or cyclist who’s concerned about cars in the streets, their bone-conducting design will be a good fit for you since they don’t isolate noise but allows you to have background music while training. Poor for office use. 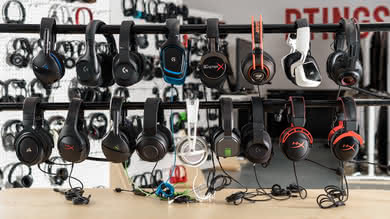 Their design doesn’t block any noise, so if you’re looking for headphones to help you concentrate on your work, these are not it. 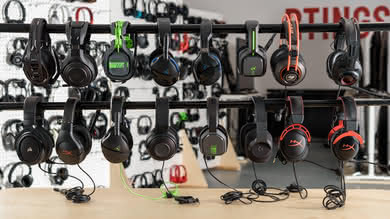 They also leak quite a lot, so your coworkers will be able to hear your music. Bad for TV. 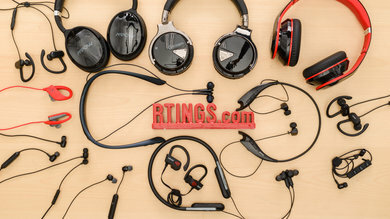 Even if their wireless range is great and the AfterShokz Trekz Air are comfortable, these headphones have too much latency for video content. Bad for gaming. 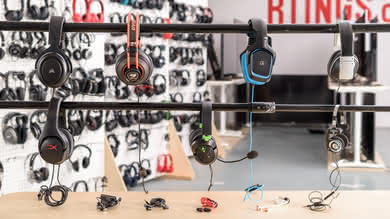 The microphone is mediocre, and they don’t isolate any sound if you want to feel immersed in your game. 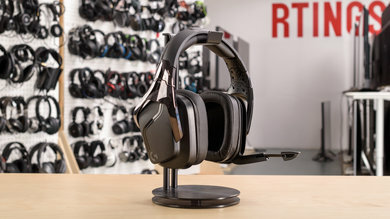 The AfterShokz Trekz Air also have too much latency to be suitable for gaming since what you’ll hear won’t match what’s on the screen. 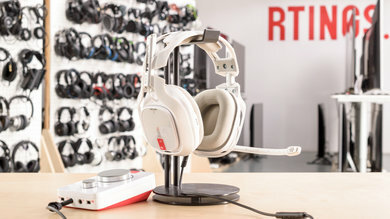 They also can’t be used wired with console controllers.